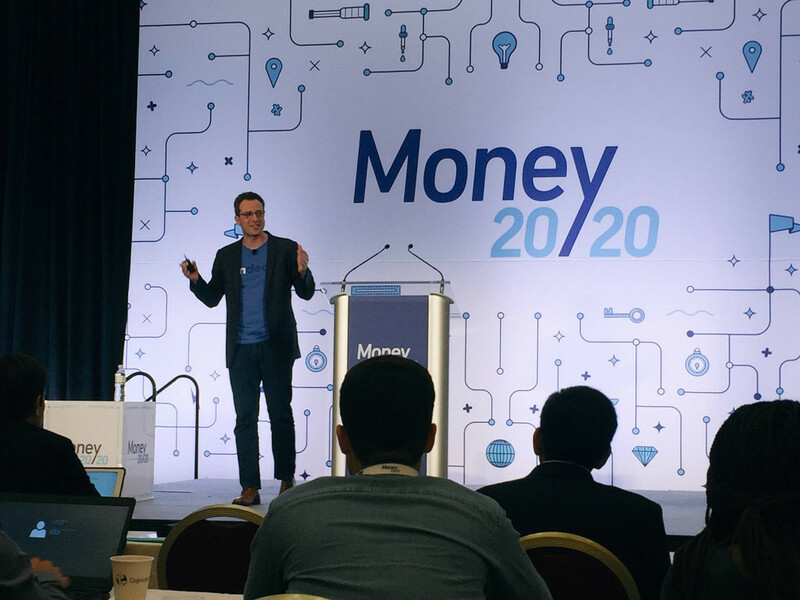 An announcement by OnDeck, Ingo Money and Visa this week at Money2020 may be more consequential than it appeared. That’s because the partnership enables OnDeck to actually fund a merchant’s bank account (not their debit card) on days, nights, weekends, and holidays. Such a feature is not possible in the realm of ACH where funding typically takes place on the next business day and only if the transaction is submitted before a predetermined cutoff time. deBanked got to learn more about how this works in an interview with OnDeck CEO Noah Breslow on Tuesday as well as the opportunity to pick his brain about a few other things. Below is a curated excerpt of the interview that has been edited for brevity. deBanked: For this real time funding you announced, do you have to have a Visa debit card? Breslow: You do not, but you have to have a debit card. 70% of small business owners have debit cards. And this will work with Visa or Mastercard. deBanked: So you’re not actually funding a merchant’s debit card, you’re funding their bank account but using the Visa network as the mechanism? Breslow: It’s the rails, it’s the way to get the money into a small business owner’s checking account. My prediction is that every funder in the industry is going to be doing this in a couple of years. It’s going to be faster and small businesses will start to expect it. Now instead of waiting 2 days to get the money into someone’s account, it can be done on nights, weekends, holidays, 365 days a year. deBanked: So you can fund a merchant’s bank account on the weekend? Breslow: Yes, it’s real time. And to be clear we partnered with Ingo Money, Visa has the rails. Ingo is our interface point, they do the PCI compliance and the rest. We looked at a bunch of different players in the market and Ingo was unique in that they had covered small business checking accounts. Some of this stuff is happening in consumer already. We’re the first lender to use these rails for either consumer or small business in the US. deBanked: Has this already gone into effect? Breslow: No, it’s coming out in a couple months. Early 2018.
deBanked: Does this system work with every bank already? Breslow: It doesn’t work with every bank yet. It works with most of them, all of the major ones. deBanked: Speaking of payments… Square. PayPal. They’re both payments companies first that went into lending. Is there a potential reverse play for OnDeck to go into payments? Breslow: Right now our product expansion stuff is very focused on additional lending products. I still feel like we haven’t lived up to our full potential there. There’s a couple other product categories that we’ve looked at and thought about. Equipment finance is one, invoice factoring, small business credit cards. And so we look to be the best small business lender in the world with the best set of products. And then we can partner with a lot of the payments companies. But right now, no we’re not going to sell merchant processing. Never say never, but not in the near future. deBanked: Any news on the Chase front? Breslow: We re-upped our agreement with them in early August. The customer experience is amazing, our platform is scaling, and we’re making progress. I can’t tell you a lot of other details about it. deBanked: I’ve heard from folks in the industry about merchants who are being debited by Chase either daily or weekly. Is that you? Breslow: That would be our platform. Chase’s product is more or less like the OnDeck product but cheaper obviously. It’s a daily or weekly collected loan. It goes up to 24 months for $200,000. deBanked: I want to ask you about brokers, or as you call them “funding advisors.” Do you anticipate reliance on them increasing or decreasing? Breslow: Stable. I don’t anticipate it moving up or down. We really like the funding advisors that we have and we’re continuing to grow with them. We’re also adding some new ones. deBanked: What makes a good broker? What can they do to do things right? Breslow: The value equation between the merchant, the lender and yourself has to be in balance. They should also be efficient and know the credit box of the lender they’re working with. They should invest in their employees, train them, and they should become more sophisticated about their online marketing and CRMs, which we’ve been seeing. deBanked: Everyone’s talking about blockchain at this conference. Is there a way that blockchain fits into online lending and possibly OnDeck? Breslow: I love the technology, I’m very intrigued by it. But we’re not actively using it and it’s not like I have a secret blockchain project in the works. deBanked: Is there a universe in which OnDeck considers making an acquisition of a company? Breslow: So we’re not totally opposed to that. They’re might be an opportunity for a complementary product or a complementary team. I think you’re going to see a lot of consolidation in the industry in the next 3-5 years.